It’s the middle of summer, and things are … cooling down? 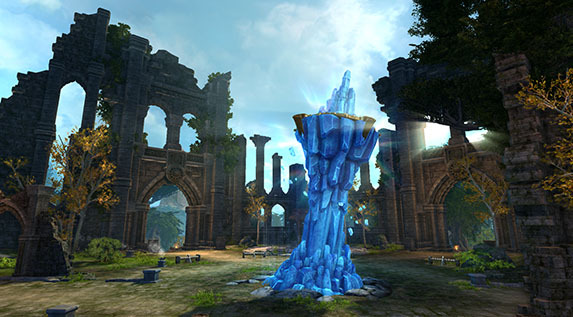 That’s the way of things in Aion, where update 5.6, Omens of Ice, is just about ready to hit. It’s got new instances, PvP arenas, minions, and a special offer you’ll have to jump on quickly if you want some free loot. Omens of Ice arrives on July 19 and adds three new instances: the Bastion of Souls, Trials of Eternity, and Crucible Spire. If you’d rather fight other players, you can enter the 6v6 PvP Grand Arena of Tenacity or the PvPvE Evergale Canyon, which can host battles up to 96 players per side, changing map size to accommodate. If Aion isn’t cute enough for you, you can now recruit minions, little chibi-fied upgradeable pets that aid you in battle and fetch items for you. And there are the usual quality-of-life upgrades, such as better and simpler enchanting, revamped item tooltips, and visual updates to starter areas. You can even get a goodie pack, consisting of a Mystic Academy Hat and Costume, five Berdin’s Lucky Stars, and a Seven-Day Administrator’s Boon by registering your account on the Aion site today. To learn more about the update’s content, head on over to the game’s news page.